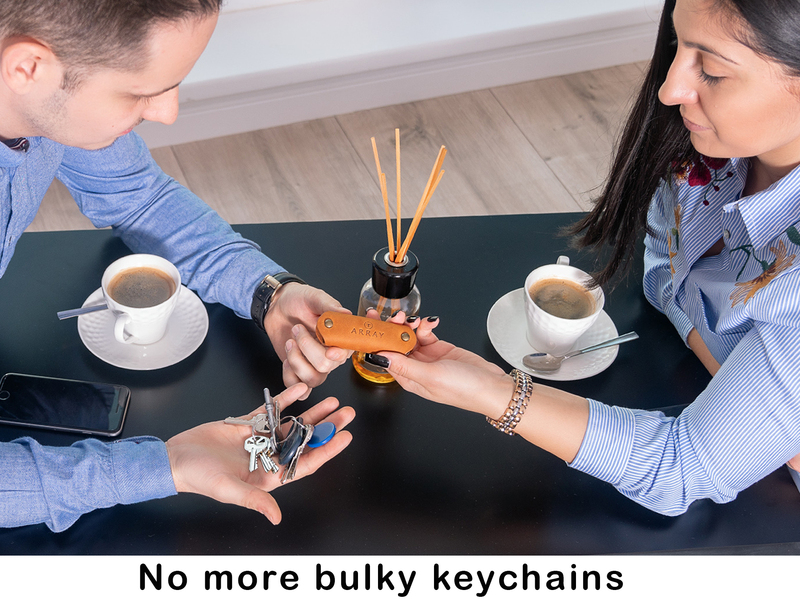 Sick and tired of searching your keys every single day and waste hours out of your life every time you want to use your keys? We are here for you with the best solution to stop that! This is an effective key storage solution, suitable for both men and women. 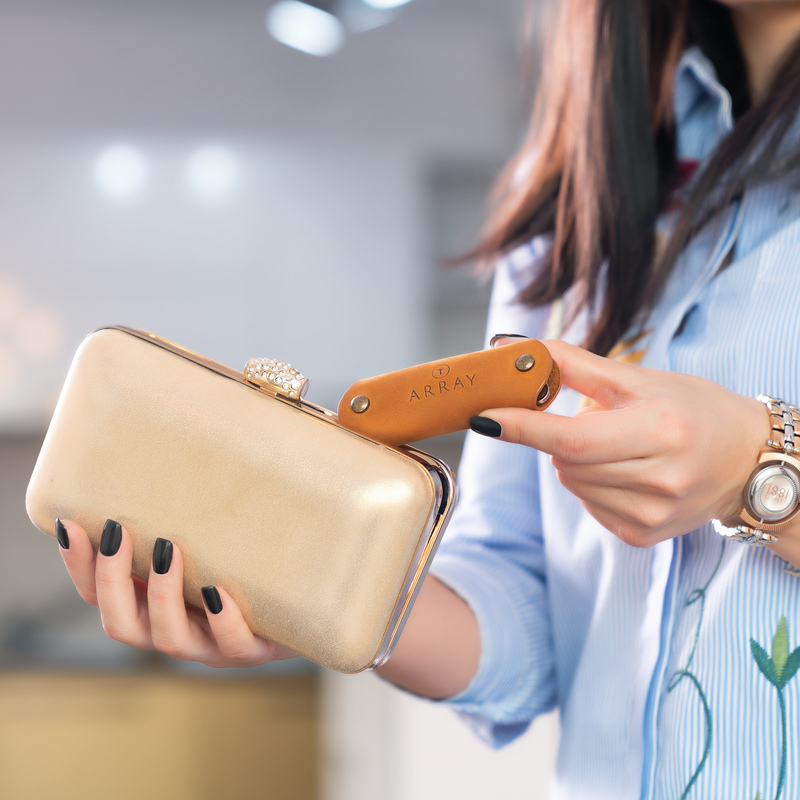 The smart compact key holder can accommodate a maximum of 10 keys or tools to keep everything neat and organized. It fits almost all the keys and offers easy, one-handed deployment of your keys. This compact pocket key holder stands out among other keychain compact organizers thanks to it's slim profile and premium quality materials. Providing easy access to your keys ,the smart keys organizer ring also protects your legs from accidental poking. 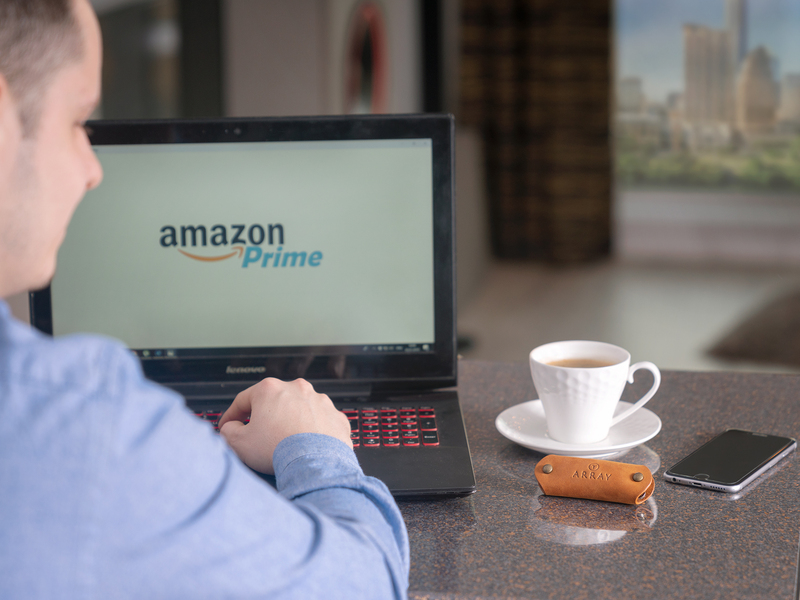 With a smart design, the wallet-like key organizer keychain keeps all your keys stacked one onto the other, completely eliminating the risk of sharp edges damaging your phone. The press button closure of the leather keychain key holder strap secures all your keys, nicely wrapping them in full-grain premium leather. 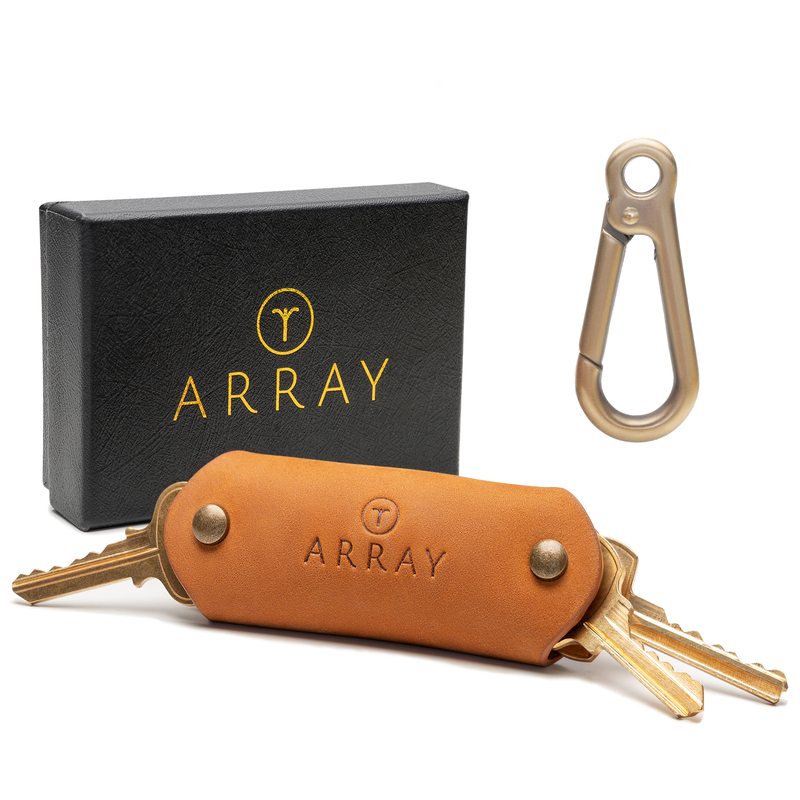 The ARRAY minimalist leather keychain holder accommodates exactly the number of keys you need to use on a daily basis. Comfortably fitting up to 10 keys 🔑, the silent compact key holder helps you get rid of the jingling bunch of keys. This smart key organizer eliminates unwanted loose keys rattling as you walk around, without weighing you down. 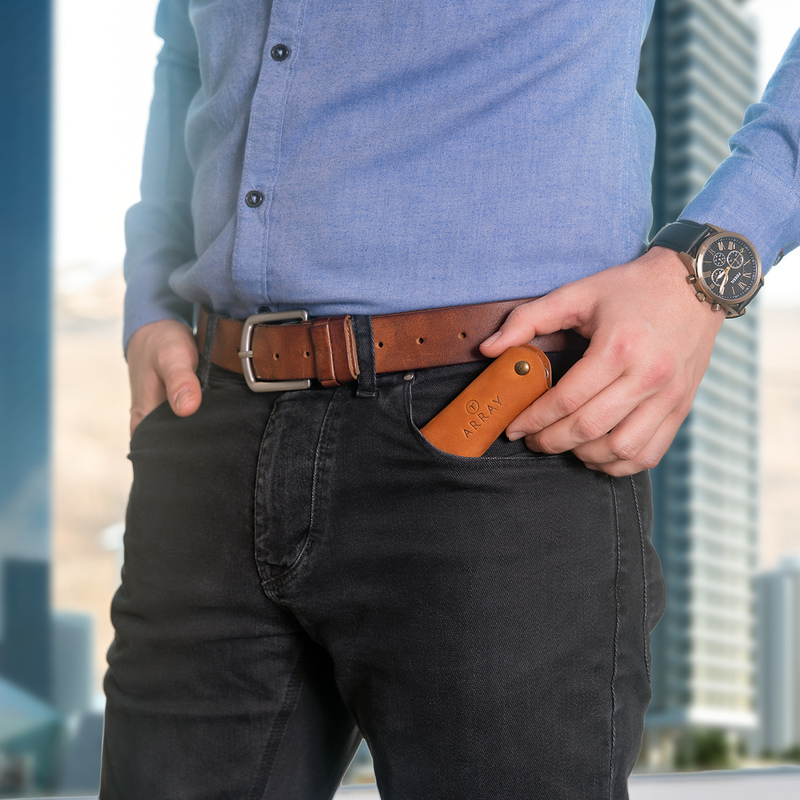 Made of high-quality, genuine leather, this space-saving pocket key organizer is built to last. The smart key holder organizer ring makes sure your keys won't poke holes into your pockets. Durable and practical, the convenient key holder compact also features rust-free brass screws and a closing press button. 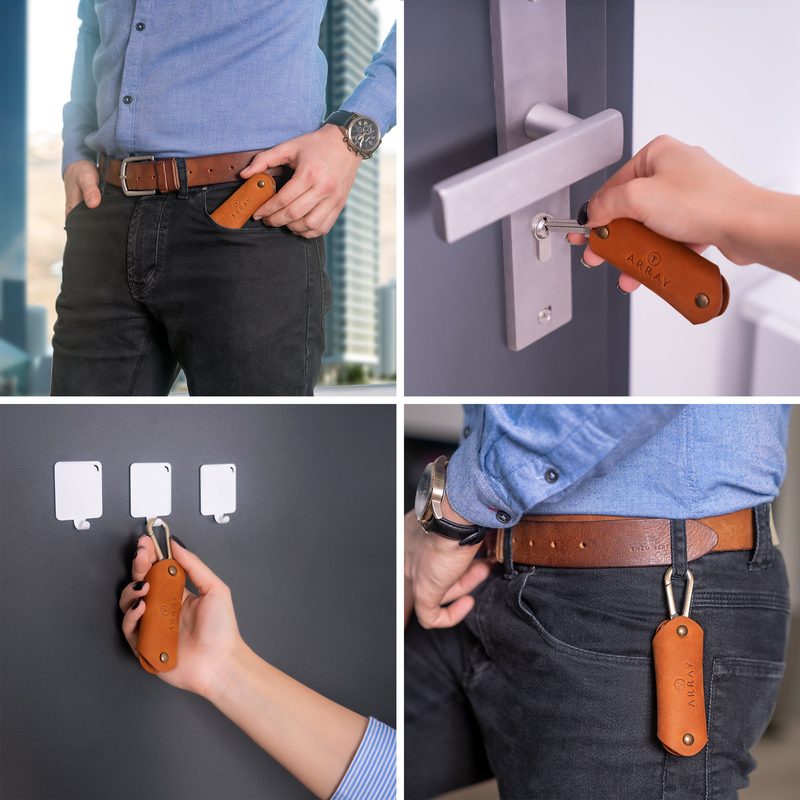 I was very happy with the way this product gets rid of the inconvience of having to worry about struggling to get your keys out of your pocket. It also protects my phone screen from getting scratched by my keys (I had a phone screen break on me like this before) and my legs from getting jabbed as I bend to pick something up. The key organizer conceals your keys securely as well. 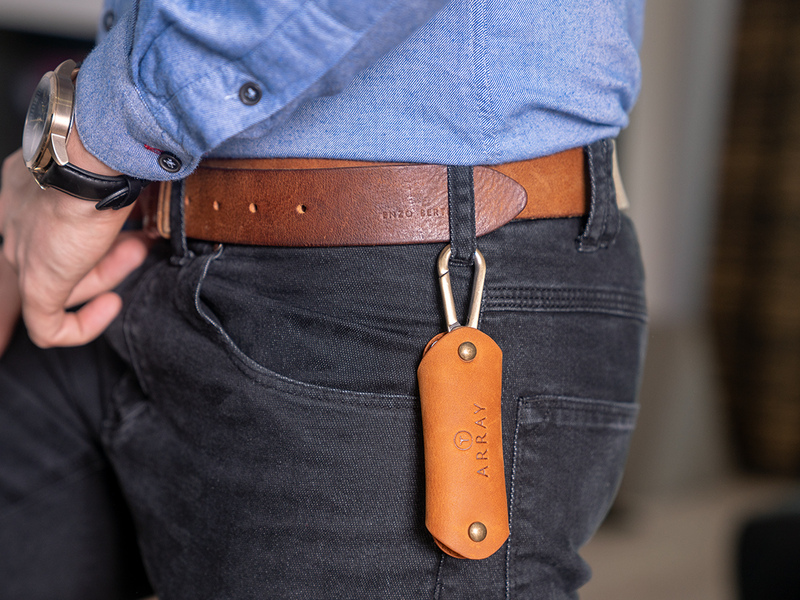 Overall very pleased by the style, utility, and performance of the leather key organizer. Snap broke within 5 minutes ! The company did remedy the situation within 2 days and the new one is working nicely. Very nice product.